The know closed Prison for Women, also informally known as P4W, was purchased by Queen’s University in 2008. The three-story building is the Gatehouse, built between 1925 and 1933. 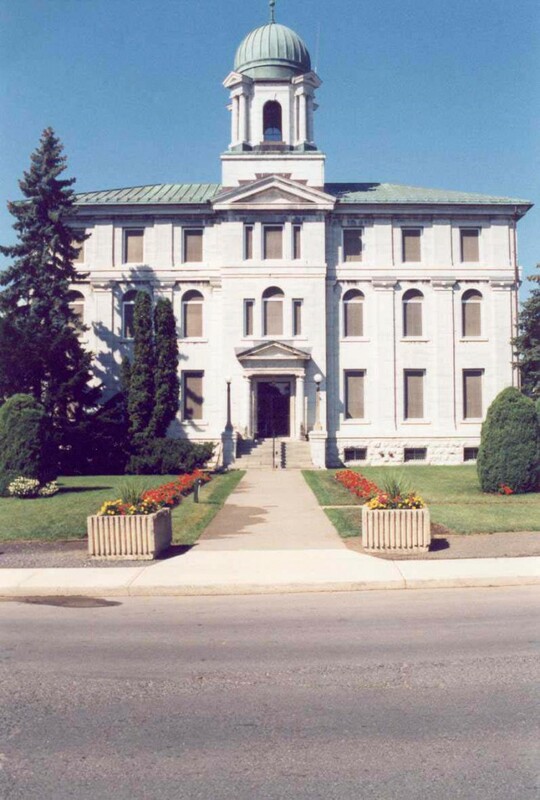 Prison gangs from the Kingston Penitentiary constructed the P4W over the course of eight years using local limestone quarried on the penitentiary property. The story of female prisoners in Kingston is intertwined with the history of Kingston Penitentiary. 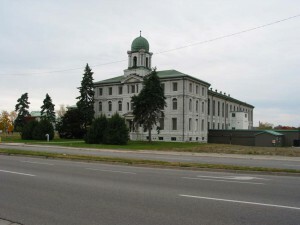 Prior to the construction of this prison, female inmates had been housed in the “Female Department” within Kingston Penitentiary for 99 years. Women arrived at the Provincial Penitentiary in September 1835; three months after the first six men had arrived. Warden Smith was not expecting female prisoners to arrive so quickly and they were placed in the hospital building. Women continued to be housed in the hospital until 1839 when part of the North Wing was designated as the women’s area in the penitentiary. The importance of segregating male and female prisoners was always a priority at the penitentiary. However, in the beginning women were managed at first by the wives of the Warden and his Deputy and then by female staff known as “Matrons”. In the early years of the penitentiary they were treated essentially the same as the men, subject to the same basic rules and expected to engage in labour as part of the reformation process. However, in keeping with the norms of the day women were given labour appropriate to their “feminine” capabilities such as needlework and the manufacturing of clothing. As construction of the Kingston Penitentiary complex continued, women inmates were continually moved. Finally in 1909 the Northwest Cell Block was constructed for the female inmates, a compromise as a separate facility but one that still stood within the walls of the penitentiary. Finally in 1925, construction of the Prison for Women as physically separate facility was begun. Unexpectedly, men from Kingston Penitentiary were the first to take up residence in the new Prison for Women in 1933. The Warden placed the men here after the 1932 K.P. riot in order to relieve overcrowding at K.P. and to allow the officials to reorganize. The P4W was the responsibility of the Warden of the Kingston Penitentiary until 1966 when it became an independent institution with a Warden of its own. After housing female inmates for sixty-six years, the P4W closed in the spring of 2000 and is no longer operational.